In his essay for the TLS, Tim Parks wonders what kind of literature will reach the international public after “what is now an industrialized translation process”. He points out that, while authors from English-speaking nations can include meticulous detail on every aspect of everyday life, to reach a global audience a writer from, say, Serbia, the Czech Republic or Holland “must come up with something impressive and unusual in terms of content and style. Five hundred pages of Franzen-like details about popular mores in Belgrade or Warsaw would not attract a large advance.” He cites the struggles of editors in various European countries to sell foreign rights for their authors. Worse, for readers less concerned with popular mores (such as the size of advances) than discovering novels exploring content and style, what Parks calls “direct, unmediated contact between a writer and reader” may not survive such translation because “the final product will be flattened and standardized”. 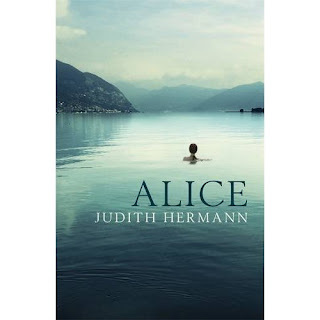 A case study may be Alice, a translation by Margot Bettauer Dembo of Judith Hermann’s 2009 German novel. It is published by The Clerkenwell Press, a new imprint of Profile Books, publishers of such mainstream favourites as Alan Bennett and Susan Hill. Hermann’s work is very popular in Germany, so cannot be accused of pandering to the foreign image of Germany. Her 1998 volume of short stories Sommerhaus, später sold a quarter of a million hardback copies in Germany and, according to The Independent, its translation revealed “a master storyteller”. When Alice was published in Germany, Katy Derbyshire reported that “the press are (sic) going absolutely wild” and Irish novelist Hugo Hamilton says “Alice has the breadth of an epic novel”. Might local appreciation indicate a writer of her time and place, and thereby allay Parks’ disquiet? That morning Alice sat at Misha’s bedside until noon. First on one side of the bed, then on the other. The room was utilitarian, fitted cupboards, a sink, the door to the toilet, a bare area of painted linoleum where a second bed had stood in which another patient had been lying. Some days ago the nurses had pushed him elsewhere, without giving any reasons. To some other place. The abrupt division of the final sentence, which we must assume is a feature of the German original, mimics the pauses in speech; an aural semi-colon adding a peculiar stress to the banality of the information it contains. It stands for Alice's experience in general. Sitting on the left-hand side of the bed, she’d be next to the IV drip stand for the morphine, but leaning back against the wall unit, she could look out of the window and see the hills when she could no longer bear to look at Misha. To look at his face. Misha slept with his eyes open. The entire time. Like a plant, he had turned to the light, towards the grey but bright day. The technique is soon dropped, yet the motifs hinted at here continue and begin to dominate the content: light on walls, distance – physical and psychological – water for drinking and swimming in, and insects. Alice describes how, in her final days with Misha, a spider built a web between their two beer bottles which they had to destroy in order to share a drink. Later, questions about a dead relative are described as threads of spider webs broken as soon as one seeks an answer. Back in the present, Alice moves close to the hospital and notes that she can see his room from her window: "Misha's there. And we're here". In the second story, she lies in Conrad’s empty bed and watches a spot of light on the wall, realising Conrad would have seen it too. In the next story, there is more light on another bedroom wall and then later, as Alice travels to Richard’s Berlin home, she thinks: "In a room in that apartment in this house on this street, a man I know is dying. Everyone else is doing something else." So, rather than Franzen-like details about popular mores in Germany, we have stories drained of the usual personal histories and emotional struggles and instead the distance felt between one living on and another on the brink of a grave. The reader lives with Alice on the surface of the narrated moment like the pond skater, unsure if it is over a millennia-old ocean floor or a transient puddle. 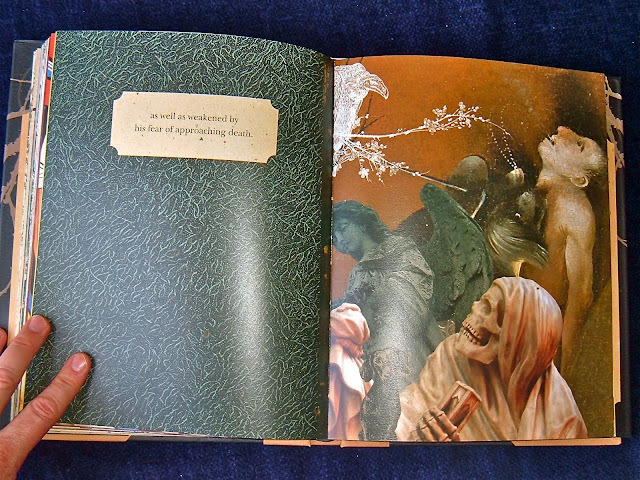 The incommensurability of death then is the dominant theme and determines the style and content. Alice avails herself of the modern world, phoning for taxis, visiting cafés and state-of-the-art hospitals, yet these are the limits of reference. There is only one reference to literature, an unnamed SF novel being read by her husband. It is as if the loss of religious context has also emptied art and literature of consolation; the fate of art has followed the fate of theology. It has disappeared, more or less. However, while characters have bland, pan-European names and live in bland, pan-European cities, as if to emphasise the universality of the incommensurable, there’s only so much that can be drained from the particulars of place and time before it disappears into silence. As well as evoking obscure pathos, such motifs and metaphors inevitably invoke a tradition. For example, in an otherwise insignificant moment, an unidentified, “multi-legged” insect drowns in Alice’s latte macchiato. The readerly impulse here is to recognise a possible allusion to Kafka’s Gregor Samsa, and thereby to appreciate the implications of this absurd event. We may ask: is German literature drowning in consumer culture? Instead, or in addition, we ought to admit the tension this moment generates, when literature tries to exhaust literature by means of literature. Rather than having been flattened and standardised by translation, Alice is flattened and standardised in its quest for an impossible loss of meaning. The plaintive death of the insect is a small manifestation. In his review of Hermann’s first book of stories, Zulfikar Abbany says the word “Nichtssagend”, meaning empty or meaningless, “describes a host of young German literary lights who, aside from a smattering of cute observations, have nothing to say”. The leading light of Nichtssagend, he says, is Judith Hermann. The problem for them and their admirers is that the cute observations say more than they may wish. In Hermann’s case, North American minimalist realism is the clearest influence; Alice’s husband is called Raymond. Perhaps this indicates the loss of tradition in German fiction concurrent with multinational cultural homogeny; the odd translation decision suggests as much: American English such as “liquor bottles” and “fat bugs” appear alongside “centre”. Yet no matter how much the stories appeal to an international audience, the contradictions within Nichtssagend are distinctly European. It was Kafka, after all, who said the true artist is someone who has nothing to say. In October 1921, Kafka wrote about the essence of Moses’ wandering in the wilderness and death before he can enter the promised land. It is incredible that he should see the land only when on the verge of death. This dying vision of it can only be intended to illustrate how incomplete a moment is human life, incomplete because a life like this could last forever and still be nothing but a moment. Alice’s reticence about the past and preoccupation with the distance between herself and the dying men is a fascination with this moment. The fourth story is unique among the five in that Malte, Alice’s uncle, is already long dead and Alice never knew him. He killed himself decades ago and she seeks out Frederick, Malte’s lover, to learn more about his death. He gives Alice the letters he received from Malte, which, however, she does not read before the chapter ends: "It didn't matter what was in them - it wouldn't change anything. But it would add something - one more ring around an unknowable permanent centre." The reader is both disappointed and relieved. The centre is his death and, while an addition may be welcome, it is merely a surplus of strength. This is confirmed in a nice, metafictional moment when Frederick, who has no contact with Malte's family since his death, asks after Malte’s mother, who happens to share the protagonist’s name: "Alice has been dead a long time, Alice said." Reading Alice we can only wonder if this is a failing of living writers or a necessary characteristic of literature itself to which they are admirably faithful. Perhaps the failing is that writers do not strive more determinedly for Mehr Nicht (rather than Mehr Licht). What does it mean to acknowledge the limits of writing? After his own wandering in the wilderness, Kafka concluded, “Moses fails to enter Canaan not because his life is too short but because it is a human life." Even Gabriel Josipovici, a stubbornly brilliant critic, seemed to short-change Joyce in his recent polemic What Ever Happened to Modernism? He was more attracted to writers with a high rating of aesthetic anguish, to Kafka's writhings and incompletions, to Beckett's long campaign against his own charm and eloquence, which is a rather romantic way of responding to an anti-romantic movement. In his books, Joyce shed the 19th-century cleanly and decisively, and had a great gift for generating rich new material from arbitrary scraps of patterning. The interval between his realising that a certain way of writing the world was bankrupt and finding a new one seems to have been enviably short, however long it took him to get the words exactly as he wanted them. I emphasise Mars-Jones' assertion because it is in direct opposition to Josipovici's reasons for short-changing Joyce. (The "high rating of aesthetic anguish" is closer to these, as will become clear.) Of course, the assertion is axiomatic in the history of Modernism. Almost every review of What Ever Happened to Modernism? presents Joyce as its prime representative and Ulysses as the definitive Modernist novel without noticing that Joyce is mentioned in the book only in passing and Ulysses not once. This reading impairment encapsulates the unfortunate confusion in the reception of What Ever Happened to Modernism?, even in reviews sympathetic to the project of the book; the project has not been appreciated fully for its revisionism. Not about Kenner, but about Joyce. No objective style, Kenner rightly insists, can be said to exist; no truth can be discovered by aligning so many words to so many things; every attempt to simulate such a Truth will, as in the case of Hemingway, itself quickly become a 'style'. 'The True Sentence, in Joyce's opinion, had best settle for being true to the voice that utters it.' Yet what Kenner fails to see is that in the end Joyce does, against his own deepest insights, cling to one unquestioned Truth, that of the completed work. If there is no True Sentence, then why is there is a True Work? This, it seems to me, is a major weakness of Joyce, his refusal to recognise the vulnerability of the Muse, his insistence, against the evidence, that to make a book is itself a valuable activity. Compared with Proust and Beckett, Kakfa and Eliot and Virginia Woolf, Joyce presents a strangely rigid attitude; he refuses ever to let go, to trust the work to take him where it will. Every 'letting go' has to be carefully fitted into its place in the overall design, even though there is no longer, by his own admission, any authority for the pattern the design itself assumes. It is perhaps a weakness of Joyce and not just a fact about him that he is such a godsend to the academic community. For there is ultimately something cosy and safe about Ulysses: underlying it is the belief that the mere accumulation of detail and complexity is an unquestioned good. Far from being 'the decisive English-language book of the [twentieth] century,' as Kenner suggests, it is perhaps the last great book of the nineteenth. "as well as weakened by his fear of approaching death"
Hands up who can identify this new book, the first graphic novel on my bookshelves. Answer: it's Victor Halfwit – the link goes to my review.